The Amsterdam based shoe label Filling Pieces is quickly becoming a go-to name for those increasing numbers of sneakerheads looking for refined, premium product, and it’s no wonder that the brand’s chic European-made product is generating a loyal, passionate and growing fanbase. Founder Guillaume Philibert has spent his life obsessed with shoes, and back in 2009 when he was seeking product that filled the gap for high-end sneakers he made the decision to make his own, and since then he hasn’t looked back. It could be said that Filling Pieces product speaks for itself, and to a point it does, but I couldn’t pass by the chance to speak to Guillaume in this latest instalment of my ‘In Their Shoes’ interview series, in which Guillaume gives us the lowdown on the past, present and future of one of the hottest shoe brands around. IDYSM: Hey Guillaume, how’s it going? Please set the scene and let us know where you are, and what you’re up to right now. Guillaume: At this moment I am about to board my flight to New York where I will have a meeting with my close friend Ronnie Fieg about our next collab. The day after tomorrow I will fly from NYC to Las Vegas where we will show the Filling Pieces FW’15 collection at Liberty Fairs. IDYSM: To someone who doesn’t know Filling Pieces, how would you describe and define the brand, and where does the name come from? Guillaume: Filling Pieces stands for ‘filling the gap between streetwear and high-end footwear’. Our goal is to provide quality products, hand-made from the finest fabrics and leathers in the market, for a affordable price. IDYSM: So tell us about how you came up with the idea for Filling Pieces, and how the business is growing. Guillaume: Back in 2009 while studying Architecture I was missing a premium high quality trainer for an affordable price. Recognising both a challenge and an opportunity, I started to design. Wanting to create a unique trainer, that would bridge the gap between streetwear and high-end fashion. At the end of that same year, the first Filling Pieces collection was born, consisting of one unique silhouette: the ‘Low Top’. Nowadays our collection consists of a variety of unique and contemporary models. Handmade with great care in Portugal, using only the finest Italian leather and fabrics. Based on the Italian vulcanized rubber cup sole from Margom. We are working with selected retailers worldwide, from the renowned high-end department stores to independent boutiques. Our top retailers are; KITH NYC, United Arrows Japan, 10 Corso Como Shanghai, Colette Paris, End Clothing, SSense Canada, Harvey Nichols London, Beymen Istanbul, Storm Copenhagen, Hypebeast and more. IDYSM: How does Filling Pieces differ to other brands? Guillaume: We are offering certain fabrics and leathers for the most honest and decent prices possible. We always try to push the limit if it comes to design, innovation and exclusivity. If you look at our collection, 80% is new and never used before. IDYSM: I’ve seen you claim to have been a big shoe collector. Just how important have sneakers been in your life? Guillaume: Footwear has been a big part of my childhood. When I was 11-12 I started to be really interested in footwear, so growing up I bought a lot of sneakers. I could never afford the high end designer trainers myself, so begging my mother to buy them from me made me be able to own a pair of them. The shoes made me more confident, growing up at school were most of the people used to dress well. IDYSM: What shoes/styles interested you the most, and what do you draw on from this for Filling Pieces? Guillaume: I like the mix of fashion and innovation. Looking at what Nike is able to put out product-wise is really inspiring for me. I’m a big fan of athletic footwear, rather than boots or more preppy dress shoes. IDYSM: Amsterdam seems to be a bit of a booming cultural hub right now with a number of shoe brands and fashion labels and denim companies making a name on the global stage. What does the location give to you and the brand. Guillaume: When I started back in 2009, NO other footwear brand was doing anything like we did and aimed for. Of course the success and vibe of Filling Pieces inspired other brands to start doing footwear and take place in our footsteps. Amsterdam is a mix of the avant-garde fashion of Paris, the minimalistic vibe of Scandinavia and the urban influences of London. That’s makes our taste for fashion like it is nowadays. IDYSM: How do you feel about the increasing demand for quality product, and is the interest in ‘premium’ product just a passing trend? Guillaume: Quality is not a trend. We stand for it, as we want to offer our customers with the best there is available, just for honest pricing so people don’t get fooled by big brand names. We always pushing to bar when it comes to quality, it needs to be perfect. Now that people have less money to spend than let’s say 5-10 years ago, they see through trends or bad product. IDYSM: Having only started out in 2009/10 Filling Pieces is undeniably young, so how do you not only grow but also protect the brand? Guillaume: We are trying to work with the best retailers in the world and stay innovative, that has been our key element in the success we have thus far. Plus we work with the motto of ’Work Hard & Stay Humble’, that keeps us on track. IDYSM: What does 2015 have in store for you and the brand? Guillaume: Big and strong collaborations! IDYSM: I always end my ‘In Their Shoes’ interviews with this question, and with so much amazing product available to you I can’t wait to hear your answer, so….what’s on your feet right now? Guillaume: A pair of simple white leather Low Tops, before that a pair of Ronnie Fieg wcp Asics. 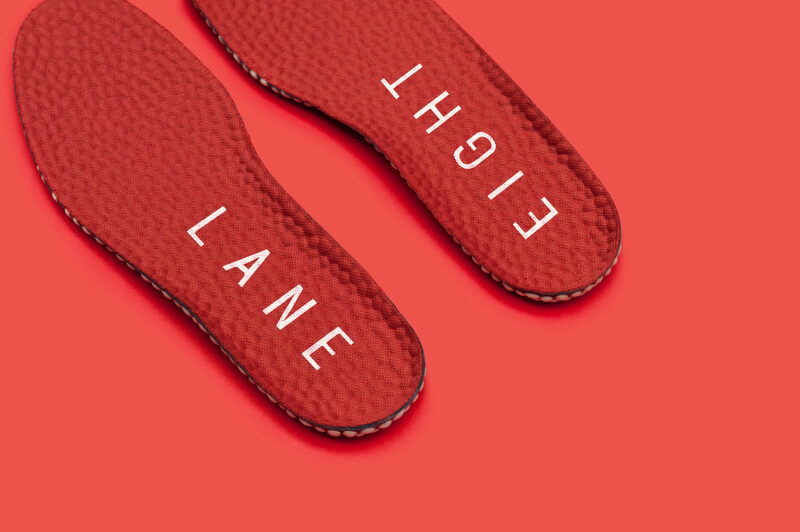 I strongly believe that any sneaker stash could be enhanced by a pair of Filling Pieces’ fantastic shoes, so click on the banner below to head to East Dane’s great selection of product from the brand.